Mr. Suman Chatterjee is the Owner/Founder & Relationship Manager of Australasia EduConnect Group. He is an Australian permanent resident and has been living in Australia for more than ten years. 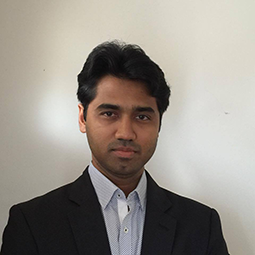 Prior to establishing this Australasia EduConnect Group, Suman have had experienced to work with a number of Australian business as a Business Services Manager as well as Business Manager inmanagement activities and acquired significant management skills. He has extensive knowledge in the Australian industry and has an excellent understanding of business managements and development. He works cooperatively with our international partners and stakeholders to offer our Education Consulting Service for Australia. He has travelled overseas on that include Sydney, Melbourne, India and Bangladesh. Suman holds a Graduate Diploma in Business Management (Australia) and Diploma in Hospitality Management. Suman is fluent in English, Hindi and Bengali (Native). View Suman’s Profile on LinkedIn.